We stock and sell dollies, boat racks, boat trailers, expansion parts, replacement parts, wheels, tubes, fittings and other accessories. We are not a drop shipper, we have a full lineup of dollies and parts in stock and ready to ship from our warehouse. Each Dynamic Dolly is custom manufactured for your exact boat model, assembles in minutes, and will fit in the trunk of a compact car. 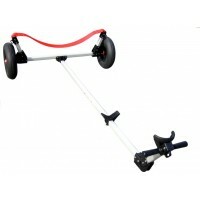 Each Seitech dolly is designed to fit your general boat style. We offer custom dollies for hundreds of boats. Whether you have a Sunfish, Laser, dinghy, canoe or kayak, stand up paddleboard, small sailboat or other personal watercraft, we likely have a dolly for it. If we don't, please contact us to have a dolly or rack made specifically for your boat at no additional charge. 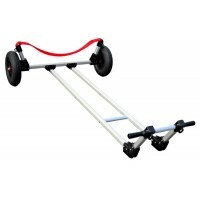 Dynamic Dolly, Type 3 Dolly style allows bow of boats with a curled gunwale to hang from a specifica.. 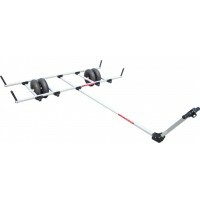 Dynamic Dolly, Type 2 Dolly style allows bow of boats with a curled gunwale to hang from a specifica.. 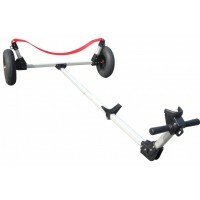 Dynamic Dolly, Type 5 This style is made for heavier or double handed boats, e.g., Club 420, Capri 1.. Dynamic Dolly, Type 15 This dolly style is custom-sized for catamarans of all kinds, from 13' Hobie ..